Your heater and air conditioner are absolutely vital to your business. If either system fails, your commercial property cannot be as productive and profitable as possible. 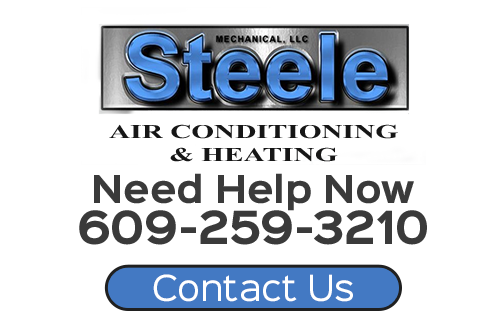 At Steele Mechanical, LLC Air Conditioning and Heating, our New Jersey commercial heating and air conditioning contractors are ready to assist you with all your needs. Our professionals have the knowledge, skills, and experience necessary to provide for all your commercial heating and air conditioning needs. We can design, install, repair, or replace any portion of your HVAC system. The one constant in all of our work is our goal to achieve our customer's complete and total satisfaction. If your New Jersey business needs to hire a professionally licensed heating and air conditioning contractor, call Steele Mechanical, LLC Air Conditioning and Heating today. Our courteous and polite staff would be happy to take your call. We can answer all of your questions and schedule your appointment today. In order for your HVAC system to provide for your business' unique needs, it must be custom designed for your property. Our commercial air conditioning and heating contractors have the ability to help you with any major HVAC renovation or construction project. Our experts can help you select the best furnace, boiler, heat pump, or air conditioner for your property. We can also fabricate and install duct work for you. In the end, our team will design the perfect whole-property HVAC system for your business. The key to our long term success is quite simple. Our goal is to form long lasting and mutually beneficial relationships with all of our commercial clients. When you hire our heating and air conditioning company, you will always know who to trust with all your routine maintenance and repair needs. Our contractors can provide you with annual tune-up and maintenance services. You can feel confident knowing that your HVAC system is always kept in the best condition possible. If your air conditioner or heater ever breaks down at your commercial property, our highly skilled repair technicians are always ready to assist you. We provide emergency air conditioning and heating repair services twenty-four hours a day, seven days a week. Our professionals will respond quickly to your call and will work tirelessly until your HVAC system is restored to full operation. Your business will be returned to normal in the quickest time period possible. If you need commercial heating and air conditioning services in New Jersey, please call 609-259-3210 or complete our online request form.